This is a mix of something new & something rediscovered. These were actually discontinued years ago but were brought back by popular demand. They're liquid illuminators. Pretty ones, at that. I have two shades (they come in a total of four), Bare Light (a champagne shade) and Peach Light (a peachy shade -- go figure). They look gorgeous on the skin. I remember having a tube back in the day and while the packaging is a little different, they're as lovely as I remember. 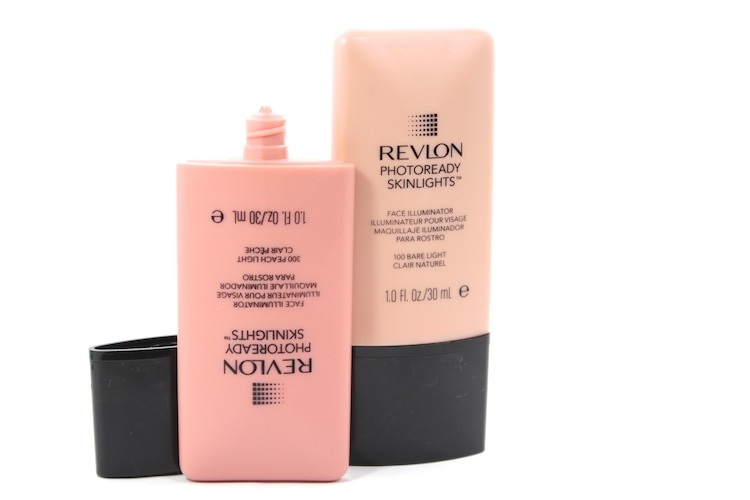 If a seamless luminous glow is what you're after, definitely give these a shot. Beware -- they pack a lot of shimmer. My skin has been problem-free overall, but I still get annoying little blemishes every now & then on my forehead. 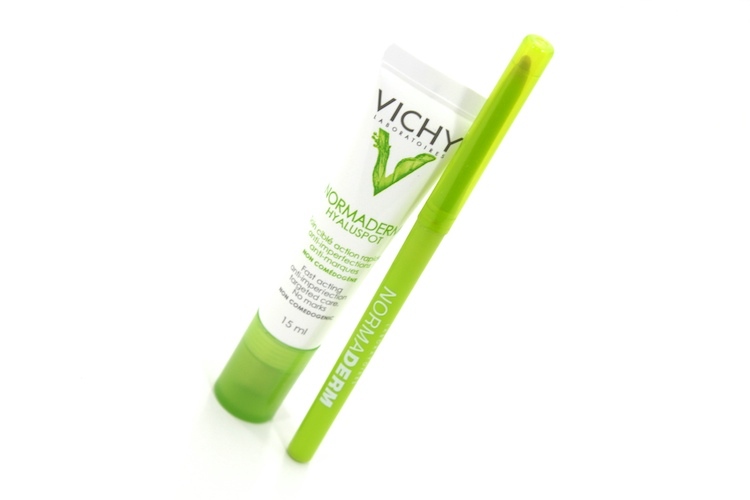 I've been using this Vichy Normaderm combination lately & loving it. The Normaderm Hyaluspot is the newest launch from the line. It's a multi-tasking product... 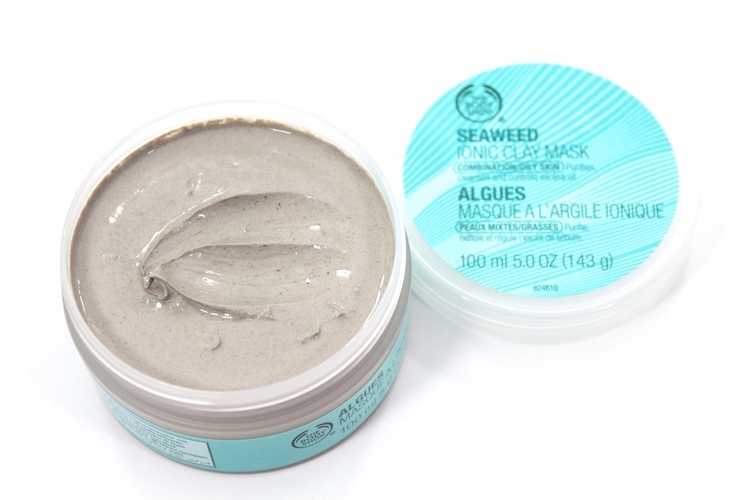 It's a salicylic infused gel that helps heal your blemish while preventing new breakouts. So far it has been keeping my pesky little blemishes at bay. I've also been using the Vichy Concealing Stick to cover up really noticeable blemishes. I love this because it's a concealer & a treatment (it contains salicylic acid, too). Double duty, my fave. I really have been using this brush for everything. 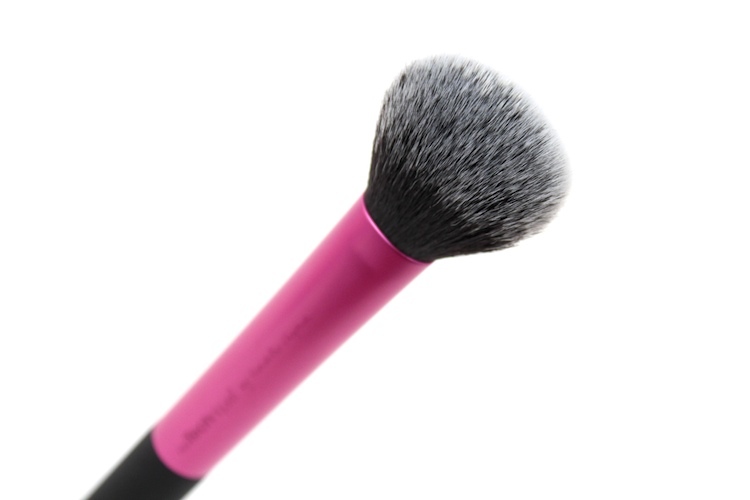 It's such a versatile brush! Although, I am partial to using it for blush. It's the perfect shape & fluffiness. Other things I love, it's perfect to throw in my makeup bag and I love that it dries so quickly. I would buy this again in a heart beat. The down side is that it only comes within a set. It's not sold individually (fingers crossed it soon will be). I just repurchased this a few weeks ago because the Body Shop was having a 50% off skincare promo. I forgot how much I enjoy using this mask. It really does make my skin look clear and feel clean. I wouldn't recommend it for sensitive skin, though. It may be a bit too harsh because it does have a slightly tingling sensation when you apply it. I only use a little bit on my t-zone / nose area and I love the results. 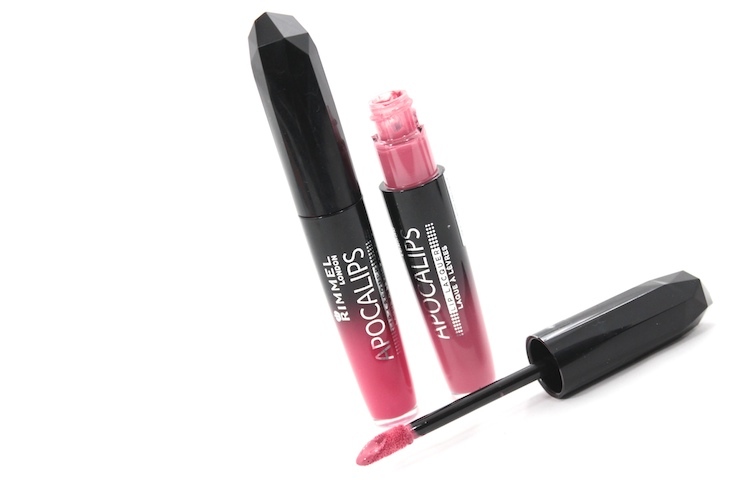 My most worn lip colours have been these two shades from Rimmel's Apocalips collection. Celestial (see how it looks on here) and Aurora (see how it looks on here). Celestial is a great everyday colour, while Aurora is when I want a bit more drama. While they can feel a bit drying throughout the day, I love the colours & the overall application / wear. 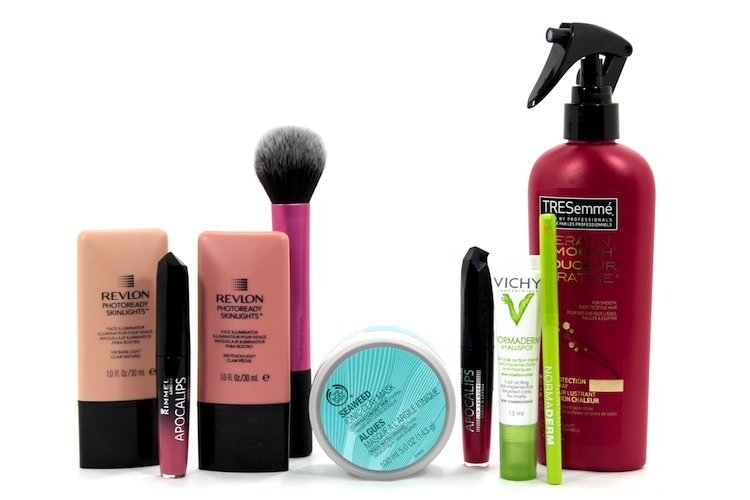 Who hasn't picked this up once in their beauty lifetime? I'm sure it could be deemed as a cult favourite. It's so inexpensive and it works (or at least I think so)! This is the "new version." 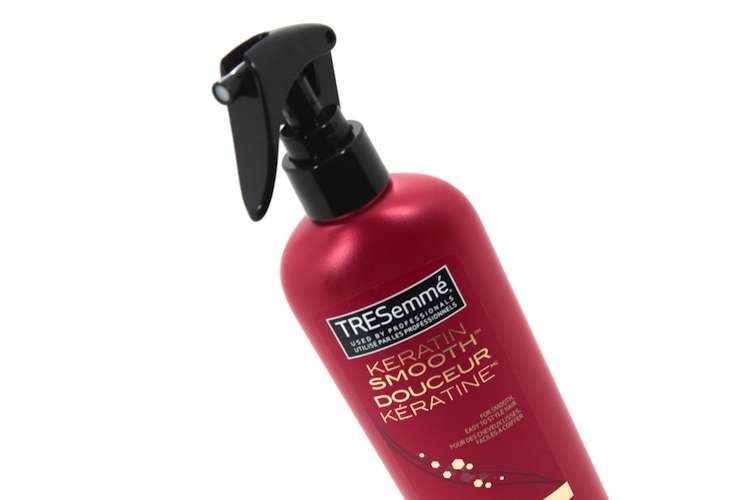 They've renamed it to Keratin Smooth -- doesn't that just make it sound even more amazing? It's still a great heat protectant, but now it has (supposedly) even more hair benefits. My hair still loves it. I always spray this on my hair after I wash it, regardless if I'm using hot tools, because it makes my hair feel softer. great picks. am currently trying to figure out some skin care issues so i might take a look through the vichy line at shoppers. thanks for the suggestion! I have been loving Apocolips in Celestial as well!